Tom O' Hawks Hatchet House is fast becoming a legendary hotspot for Indoor Axe Throwing in the West of Ireland. Originally started by Sean Boyle and Andrea Nolan following their return home after several years working and travelling abroad in Canada and New Zealand. Indoor Axe Throwing, better known as "Urban Axe Throwing" is hugely popular in both Canada and The U.S., with clubs beginning to emerge all over the world," states Andrea. We're only really at the very beginning of it's journey to becoming a mainstream sport. Axe Throwing is seriously addictive, and a great way to release some stress while having fun. It's a very social activity and we try to make each session as fun for our participants as possible"
Located in beautiful North Galway, Tom O' Hawks Hatchet House really is a fascinating place blessed by nature and its surreal location. "We've got so much history on site here and our indoor axe throwing lanes are actually located in a recently revamped 200 year old Coach House, where stage coaches and wagons were housed in the eighteenth century"
The Legendary "Hill of The Axes" is located in Lackagh, County Galway just a short 5 minute drive from the site. The site takes its name after the bloodiest battle in Medieval Ireland "The Battle of Knockdoe" of 1504 where the primary weapon of choice was the Battle axe". Don't worry its not as wild as those days!" says Sean, with a laugh. We are seriously committed to safe axe throwing techniques and best practices. "It's not the wild, wild west down here as some might believe! We follow very strict rules, regulations and best practices to make sure axe throwing is as safe for everyone as possible". 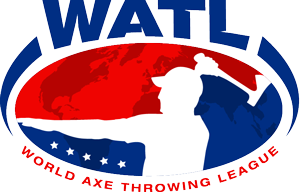 Axe Throwing is a sport for both male and female and Tom O' Hawks is a facility that caters to a fast growing community of both male and female axe throwers. "Women tend to take their time trying to understand the correct throwing technique and work on judging the ideal rotation of the axe in order for it to stick as consistently into the targets as possible, while some guys try to throw hard to show how strong they are, but usually they end up looking silly or a bit red faced. They soon learn that brute force does not always guarantee success!" "It's a sport of discipline, concentration and focus, thats what matters most"
Tom O' Hawks Axe Throwing league has consistently had at least a quarter of its throwers being female. We're not a club full of bearded men, bashing and taking the heads off each other. We love seeing the girliest of girls picking up the axe and nailing bullseyes, it's the best craic in the world watching their reactions, Like, "I JUST DID THAT!!" So if you've ever wondered what the fuss is all about, get in touch with the team at Tom O' Hawks to book a session and you are guaranteed to have an amazing AXE-perience! !